In the wake of the 2015-16 European migrant and refugee crisis, mental health has emerged as a critical issue—not only for the well-being of asylum seekers who may have experienced trauma, but for the outcomes of their protection claims and the integrity of the processing system itself. Many of these asylum seekers suffer from conditions such as depression and post-traumatic stress disorder (PTSD), having lived through traumatic events before they set off on their journey, along the way, or both. Human Rights Watch described the mental-health situation among protection seekers in Greece as a “silent crisis” threatening the entire asylum system. Although asylum law in the European Union recognizes the importance of providing mental-health care, in practice individual Member States—overwhelmed by processing large numbers of asylum seekers—have found it difficult to detect and treat these conditions. Beyond impeding quality of life, mental-health conditions can also inhibit the capacity of asylum seekers to effectively present their asylum claims. Individuals suffering from PTSD and similar disorders often have difficulty remembering traumatic events and telling their stories in a way that appears credible to the asylum officer. There is a considerable lack of data and research on the impact of mental-health issues on the asylum process in EU Member States, however. This article assesses what is known about the scale and severity of the problem, the potential implications for protection claims and the asylum system as a whole, and the main challenges Member States face in diagnosing mental-health conditions and providing services to asylum seekers. For many migrants and asylum seekers, leaving home is an inherently fraught experience. An EU working group on the state of mental health in Europe described the very act of migration as a process of loss and change that in the case of asylum seekers is amplified by fear of persecution and the impossibility of safely returning to their country of origin. Owing to the very nature of the journey, asylum seekers are widely exposed to potentially traumatic events and postmigration stressors that could trigger mental-health disorders. In several studies, asylum seekers reported experiencing not just one instance of trauma, but several during multiple stages of the trip. Thus, pre-existing mental-health conditions might be exacerbated by the hardships that accompany flight and settlement in the destination country. Analyzing the mental-health situation of asylum seekers in the European Union is a complex task due to the lack of reliable, comparable data and longitudinal studies in this area. Most EU Member States do not collect systematic data on the health status—including mental health—of newly arrived asylum seekers, according to the EU Agency for Fundamental Rights (FRA). Where data are available, the reported mental-health disorders are highly inconsistent due to differences in definitions, diagnostic methods, sampling, ethnicity, age, and origin and destination countries of the asylum seekers. As a result, many of the conclusions in this article are drawn from multiple smaller-scale studies, including surveys of groups of asylum seekers. At origin, the most commonly reported traumatic events by asylum seekers include combat situations, sexual assault, and having witnessed violence and death, according to several surveys reviewed for this article. During the journey, in debt and under the control of smugglers, many asylum seekers spend long periods in harsh conditions and may be subject to continuous threats, violence, and even torture. Persistent worries about the whereabouts and fates of their loved ones add further anguish. In fact, the difficulties faced by many asylum seekers on their way to safety may surpass the traumatic experiences back home. A study in cooperation with MSF in Italy showed that while 60 percent of interviewed asylum seekers had experienced potentially traumatic events prior to departure, 89 percent reported trauma during the journey. The share experiencing torture during the flight was more than ten times higher than in countries of origin. Similarly, asylum seekers reported considerably higher rates of detention and kidnapping occurring en route. Research also shows that asylum seekers display higher levels of mental-health conditions overall than other immigrant populations and the native born. A study by psychologist Martina Heeren and her coauthors in Switzerland found that trauma-related mental-health disorders are strongly influenced by resident status: Asylum seekers were more likely to suffer from PTSD compared to those whose protection claims were recognized earlier and had been granted permanent residency, 54 percent versus 41 percent respectively. Similarly, the rate of depression among those awaiting an asylum decision was nearly twice that of recognized refugees. The differences compared to other groups such as irregular migrants, labor migrants, and native-born Swiss were even starker (see Figure 1). Among asylum seekers, unaccompanied children and women are exposed to the most trauma. Notes: This study defines asylum seekers as those individuals waiting for their claims to be processed; refugees as those whose asylum claims have been accepted and who have received permanent residence; irregular immigrants as those without legal status; labor migrants as those who arrived for work with preissued visas; and Swiss residents as individuals without a migration background, i.e. at least third generation. Source: Martina Heeren et al., “Psychopathology and Resident Status – Comparing Asylum Seekers, Refugees, Illegal Migrants, Labor Migrants, and Residents,” Comprehensive Psychiatry 55 (2014): 818-25. Although it might seem counterintuitive, post-migration stress factors are often the most relevant risk factors in developing or exacerbating mental-health disorders. Loneliness and boredom at destination as well as worries about the future and fear of deportation were among the most commonly reported of these factors. A study by Dutch psychiatrist Cornelis J. Laban and coauthors concluded that a lengthy asylum process—which can exacerbate these stressors—was more likely to result in mental-health disorders than adverse life events at origin. The same study found that mental-health conditions worsen as the asylum processing period drags on. Researchers compared the situation of Iraqi asylum seekers in the Netherlands six months after arrival with those awaiting a decision for more than two years. It found the levels of psychiatric disorders in the latter group were much higher than in the former, and the share suffering from depressive disorders nearly twice as high. Similarly, PTSD appeared in considerably higher levels among those with more time in limbo—roughly 42 percent, compared to 32 percent for the recently arrived group. Feelings of dependency and lack of control are common stressors highlighted by asylum seekers. In addition to lengthy asylum procedures, prolonged stays in often-isolated reception centers—initially conceived as emergency placements and not suited for individuals with mental-health needs—have also resulted in more severe mental conditions. Soon after the beginning of the refugee crisis, several NGOs reported that measures adopted by EU institutions and Member States were having a deleterious effect on the mental health of those lodging a protection claim. For example, MSF highlighted the significant impact that prolonged confinement on the Greek islands had on asylum seekers’ mental health. On Lesvos, where conditions have often been grim amid camp overcrowding and lack of resources, the share of new mental-health patients needing referral to a psychiatrist increased considerably, to nearly 75 percent in August 2017 from roughly 35 percent in the late 2016 - early 2017 period, according to MSF. Meanwhile, since the early 2000s Sweden has witnessed the birth of a new disorder known as “apathy” or “resignation syndrome,” which is mostly experienced by children of asylum seekers from former Soviet or Yugoslav countries. Swedish health professionals have documented hundreds of children falling into coma-like states for months or years, after being exposed to prolonged situations of limbo and risk of deportation. Experts have described this “refugee-specific” disorder as the result of previous traumatic experiences in countries of origin combined with cultural factors, the trauma of long asylum procedures, and an extreme fear of deportation. The children reportedly only begin to recover when their families are granted residency permits. 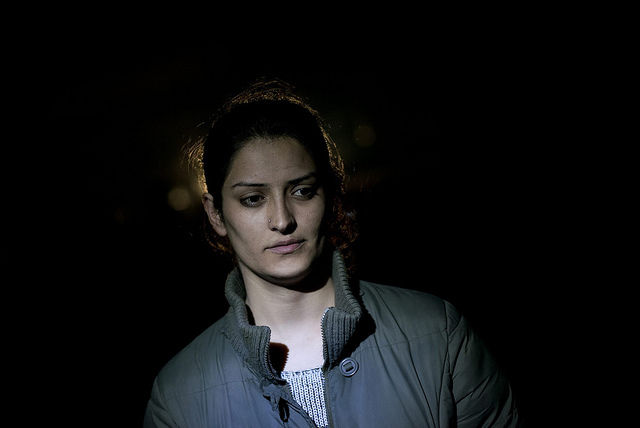 Often, asylum seekers continue suffering from trauma even after being granted legal status. Social disconnection, financial worries, and lack of economic prospects as well as the rise of anti-immigrant sentiment can aggravate pre-existing mental-health disorders. In turn, the success of asylum seekers in overcoming trauma and fully integrating once granted legal status is also closely related to their mental-health situation. Not only do mental-health disorders take a toll on well-being, but they may also influence the ability of asylum seekers to present their claims in a coherent way. The credibility assessment is a fundamental aspect of the asylum process, in which protection seekers are required to prove the existence of a well-founded fear of persecution if returned to their country of origin, based on any of the grounds prescribed by law. For the asylum officer, who needs as much personal background information as possible in a short amount of time, the effects of dissociative symptoms triggered by mental-health disorders—such as memory loss, inability to feel emotions, or misrepresentation of certain events or situations—may create significant difficulties in assessing the credibility of the claim. Several studies have pointed out the potential difficulties asylum seekers might face when presenting their claims, but have not sufficiently shown how, and to what extent, mental-health disorders affect asylum outcomes. Research has shown that individuals suffering from depression and PTSD often experience difficulties in remembering traumatic events or may only be able to provide fragmentary and disorganized biographical narratives. A lengthy asylum process may also increase the number of discrepancies in the asylum seeker’s personal testimony, according to a study by psychologist Jane Herlihy. This uneven storytelling might affect how the claims are perceived by asylum officers, who are often unaware of the prevalence of mental-health disorders among these groups or lack the training to work with survivors of trauma. A study of the impact of torture and mental-health disorders on asylum outcomes in Australia concluded that, counterintuitively, torture survivors did not receive more positive decisions than other groups. According to the authors, one potential explanation for the relatively low success of torture survivors could be the group’s high reported rate of PTSD, with 69 percent suffering from the disorder, compared to 37 percent of those who did not experience torture. The study points out that PTSD symptoms are particularly likely to result in inconsistent testimony, which asylum officers may then deem implausible. As highlighted in the book Trauma and Migration: Cultural Factors in the Diagnosis and Treatment of Traumatized Immigrants by Meryam Schouler-Ocak, the need for asylum seekers to repeatedly confront their traumas in nontherapeutic scenarios such as asylum interviews or court hearings has proven to negatively affect perceived credibility. Forcing asylum seekers to rehash their experiences in uncontrolled situations—in front of others who are unaware of any existing mental conditions—might trigger dissociative symptoms, leading to inconsistent and incomplete statements. Moreover, asylum seekers might associate asylum officers with those who inflicted pain on them in the past. This phenomenon is known as transference and may trigger reactions ranging from a complete lack of emotion, to exaltation or physical paralysis. Under these circumstances, asylum seekers might not be able to fully describe their personal situation or would do so in a way that asylum officers might see as noncredible. The European Council on Refugees and Exiles (ECRE) has emphasized the need to ensure that lack of credibility decisions resulting from interviews do not supersede strong evidence of vulnerability and mental-health needs. Further, the very notion of “vulnerability” as defined under EU law has proven controversial and legally ambiguous, particularly when it comes to individuals with mental illnesses. Despite the fact that “persons with mental-health disorders” are considered a class of vulnerable people under Article 21 of the EU Reception Conditions Directive, with special guarantees for these groups, there is currently no agreement on whether and to what extent asylum seekers suffering from mental-health disorders would fall into this category. Individual Member States also interpret this provision in very different ways. While the EU Asylum Procedure Directive allows Member States to prioritize asylum applications of vulnerable individuals, asylum seekers who are not considered vulnerable may legally be placed on “fast-track” or border asylum procedures, which are often too short to allow for the identification of mental-health needs or to obtain medical opinions to support the asylum claims. Similarly, individuals suffering from mental-health disorders may end up being housed in inadequate, isolated accommodation centers without access to mental-health services, in violation of the Reception Conditions Directive guarantees for these groups. Meanwhile, despite EU recognition of sexual violence survivors as a vulnerable group, just 33 percent of survivors on the Greek islands were categorized as vulnerable asylum seekers, MSF reported. According to Human Rights Watch, authorities on the ground are under pressure from EU and national governments to reduce the number of asylum seekers they identify as vulnerable and therefore grant special procedural guarantees. While the right to mental-health care is recognized in several EU and international legal instruments, Member States have faced significant difficulties in ensuring and protecting this right in the context of a crisis that saw asylum seekers file almost 2.7 million claims on European soil in 2015 and 2016. Most Member States have not established a formal procedure to identify mental-health disorders among asylum seekers. With initial health screenings focusing on physical disabilities and communicable diseases, less-obvious vulnerabilities often go undetected. Several NGOs have suggested that mental-health screenings be included in the general medical assessment during registration. In 2010, the PROTECT project was launched to assist Member States in identifying mental-health disorders early in the asylum process. The project developed a questionnaire to evaluate the mental-health situation of asylum seekers upon arrival and to help social workers, lawyers, and asylum officers identify potential needs and refer these individuals to mental-health professionals. Since 2012, a second phase of the project, called PROTECT-ABLE, has provided training and sharing of best practices in nine Member States (Bulgaria, France, Germany, Hungary, Italy, the Netherlands, Spain, Sweden, and the United Kingdom). Meanwhile, limited access to health care in some Member States, as well as practical barriers such as lack of resources and insufficient numbers of mental-health professionals, cultural mediators, and interpreters, have challenged the provision of mental-health services, according to the EU Agency for Fundamental Rights (FRA). In general, current reception facilities are not adequate for individuals suffering from mental-health disorders: They are often overcrowded, far from hospitals and mental-health professionals, and lack access to leisure activities. Moreover, some Member States—overwhelmed by the mass arrivals—opted to outsource some services traditionally provided by the government, which resulted in the extra burden of coordinating and monitoring privately managed accommodations. In a report on asylum seekers in Sicily, the Jesuit Refugee Service expressed concern about the low standards of some private institutions and the danger that these practices may pose for the well-being of asylum seekers. Some Member States such as Sweden and Austria have sought to address this issue by opening special accommodation facilities for individuals with mental-health disorders and specific therapeutic needs. The reluctance of some asylum seekers to undergo psychological assessments or attend therapy sessions was another significant challenge in most Member States. According to FRA, some asylum seekers worry that a mental-health diagnosis would delay their asylum application or force them to receive therapy or to be relocated to special accommodation centers. Furthermore, many cultures exhibit a lack of trust in the health-care system as well as social stigma around mental-health issues; as a result, asylum seekers might choose to hide their suffering rather than seek treatment. Advocates argue, therefore, that raising awareness of and providing education about mental-health issues should be a priority in any policy addressing these needs. In order to address some service-provision challenges, MSF in March 2017 launched a pilot project in Germany aimed at training refugees as psychosocial peer counselors. This program organizes one-on-one as well as group sessions where newcomers talk about their worries and mental state with other refugees who face similar experiences. Refugee counselors are trained to identify the most troubling cases and to teach asylum seekers coping techniques for stress and anxiety. The program serves a dual purpose; on the one hand, it counters feelings of boredom and loneliness by engaging refugees in the provision of mental-health services and motivating them with the opportunity to assist others. At the same time, it helps break down cultural and language barriers as well as the stigma associated with therapy, while skirting the lack of mental-health resources. Though the exact scale of the problem is unknown, significant numbers of asylum seekers are exposed to potentially traumatic events at home or en route, as well as stressors upon arrival. As mental-health disorders stemming from these and other experiences can have significant impacts on quality of life and potentially on the outcome of the asylum process, further documentation and data on these issues are needed. Early identification of mental-health disorders among asylum seekers might not only reduce the risk of developing more severe conditions later on, but may also help avoid expensive and time-consuming administrative and judicial appeals. EU and national asylum policies are critical for the mental health of asylum seekers. Clarification of the relevant legal framework, in particular the definition of vulnerable groups, would contribute to providing better assistance. As the European Union revises its legal instruments in the area of asylum, it would do well to take mental-health concerns into account and craft policies that meet the health needs—both seen and unseen—of all asylum seekers, ensuring that the right to mental-health services is not just formally recognized but also guaranteed in practice. Asylum Information Database (AIDA). 2017. The Concept of Vulnerability in European Asylum Procedures. Updated September 8, 2017. Available online. Aviv, Rachel. 2017. The Trauma of Facing Deportation. The New Yorker, April 3, 2017. Available online. Bell, P. and E. Zech. 2009. Access to Mental Health for Asylum Seekers in the European Union: An Analysis of Disparities between Legal Rights and Reality. Archives of Public Health 67 (1): 30-44. Available online. Crepet, Anna, Francesco Rita, Anthony Reid, Wilma Van den Boogaard, Pina Deiana, Gaia Quaranta, Aurelia Barbieri, Francesco Bongiorno and Stefano Di Carlo. 2017. Mental Health and Trauma in Asylum Seekers Landing in Sicily in 2015: a Descriptive Study of Neglected Invisible Wounds. Conflict and Health 11 (1). Available online. Carta, Mauro Giovanni, Mariola Bernal, Maria Carolina Hardoy, and Josep Maria Haro-Abad. 2005. Migration and Mental Health in Europe (the State of the Mental Health in Europe Working Group: Appendix 1). Clinical Practice and Epidemiology in Mental Health 1(13). Available online. Curry, Andrew. 2017. Germany Turns Refugees into Mental Health Counsellors for their Peers. The Guardian, August 31, 2017. Available online. European Parliament and European Council. 2013. Directive 2013/32/EU of the European Parliament and of the Council of 26 June 2013 on Common Procedures for Granting and Withdrawing International Protection (Recast). Available online. ---. 2013. Directive 2013/33/EU of the European Parliament and of the Council of 26 June 2013 Laying Down Standards for the Reception of Applicants for International Protection (Recast). Available online. European Parliament Research Service (EPRS). 2016. The Public Health Dimension of the European Migrant Crisis. EPRS, January 2016. Available online. European Union Agency for Fundamental Rights (FRA). N.d. Thematic Focus: Migrants with Disabilities. Accessed December 23, 2017. Available online. ---. N.d. Thematic Focus: Healthcare. Accessed December 23, 2017. Available online. Heeren, Martina, Lutz Wittmann, Ulrike Ehlert, Ulrich Schnyder, Thomas Maier, and Julia Müller. 2014. Psychopathology and Resident Status – Comparing Asylum Seekers, Refugees, Illegal migrants, Labor Migrants, and Residents. Comprehensive Psychiatry 55: 818-25. Available online. Herlihy, Jane, Peter Scragg, and Stuart Turner. 2002. Discrepancies in Autobiographical Memories—Implications for the Assessment of Asylum Seekers: Repeated Interviews Study. BMJ 324: 324-7. Available online. Human Rights Watch (HRW). 2017. EU/Greece: Pressure to Minimize Numbers of Migrants Identified As ‘Vulnerable’. HRW, June 1, 2017. Available online. ---. 2017. EU/Greece: Asylum Seekers’ Silent Mental Health Crisis. HRW, July 12, 2017. Available online. International Federation of Red Cross and Red Crescent Societies (IFRC). 2016. Refugees Battle Mental Health Problems in Sweden. IFRC, November 22, 2016. Available online. Jesuit Refugee Service (JRS). 2014. Rescued—What Next? Protection Seekers Stranded in Sicily. Rome: JRS. Available online. Laban, Cornelis, Hajo Gernaat, Ivan Komproe, Bettine Schreuders, and Joop T V M De Jong. 2005. Impact of a Long Asylum Procedure on the Prevalence of Psychiatric Disorders in Iraqi Asylum Seekers in The Netherlands. The Journal of Nervous and Mental Disease 192: 843-51. Available online. Matevžič, Gruša. 2017. Unidentified and Unattended: The Response of Eastern EU Member States to the Special Needs of Torture Survivors and Traumatized Asylum Seekers. Budapest: Hungarian Helsinki Committee. Available online. Médecins Sans Frontières (MSF). 2017. Greece: EU Border Policies Fuel Mental Health Crisis for Asylum Seekers. MSF, October 10, 2017. Available online. ---. 2017. Confronting the Mental Health Emergency on Samos and Lesvos. Athens: MSF. Available online. Mueller, Julia, Martina Schmidt, Andrea Staeheli, and Thomas Maier. 2010. Mental Health of Failed Asylum Seekers as Compared with Pending and Temporarily Accepted Asylum Seekers. European Journal of Public Health 21(2): 184-9. Available online. New Scientist. 2013. Healing Syrian Refugees’ Anguish. New Scientist, September 11, 2013. Available online. Pressly, Linda. 2017. Resignation Syndrome: Sweden's Mystery Illness. BBC News, October 26, 2017. Available online. Priebe, Stefan, Domenico Giacco, and Rawda El-Nagib. 2016. Public Health Aspects of Mental Health among Migrants and Refugees: A Review of the Evidence on Mental Health Care for Refugees, Asylum Seekers and Irregular Migrants in the WHO European Region. Copenhagen: World Health Organization. Available online. PROTECT-ABLE. N.d. Resources. Accessed December 23, 2017. Available online. Save the Children. 2017. Syrian Children Face Growing Mental Health Crisis, New Report Reveals. Save the Children, March 6, 2017. Available online. Schouler-Ocak, Meryam, ed. 2015. Trauma and Migration: Cultural Factors in the Diagnosis and Treatment of Traumatised Immigrants. Berlin: Springer. United Nations High Commissioner for Refugees, International Organization for Migration, and the Mental Health & Psychosocial Support Network. 2015. Mental Health and Psychosocial Support for Refugees, Asylum Seekers and Migrants on the Move in Europe: A Multi-Agency Guidance Note. Available online. Rocío Naranjo Sandalio is a Research Assistant at ICF International’s Justice and Home Affairs department in Brussels. She is a former MPI research intern and has interned at several EU agencies on migration, asylum, and security issues. A certified lawyer in Spain, she holds a B.S. from the University of Granada and an LL.M. from Columbia Law School, where she was a James Kent Scholar and a La Caixa Fellow.